Handwriting is considered to serve a functional role in literacy. Its relevance to a child’s educational success is highlighted by the importance teacher’s place on its mastery, as evidenced by the large numbers of occupational therapy referrals that are based on handwriting needs (Case-Smith, 2002). 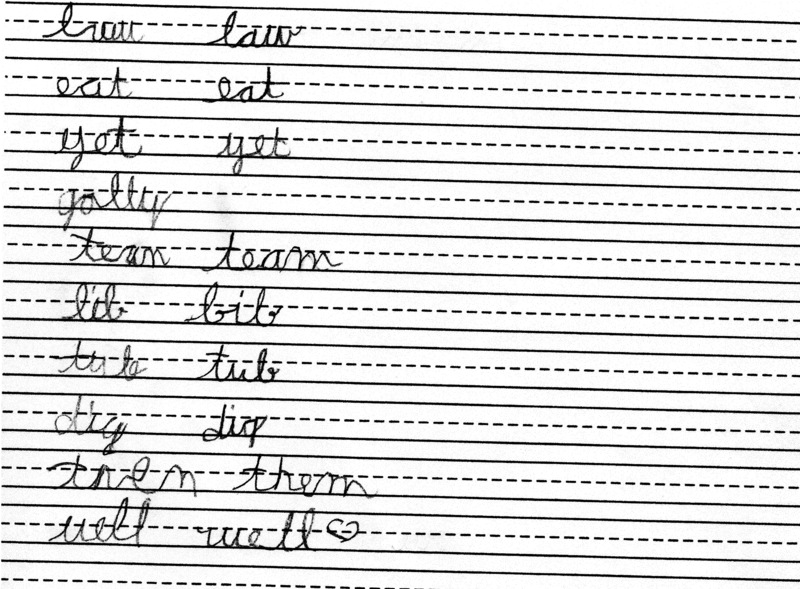 Gentry and Graham (2010), in their report, Creating Better Readers and Writers: The Importance of Direct, Systematic Spelling and Handwriting Instruction in Improving Academic Performance, identified handwriting “as an important communication skill that reinforces reading, spelling, and writing development” (Collmer, 2016, p. xii). To emphasize handwriting mastery as a functional element in education, it’s important to note that its influence on success in school begins as early as pre-kindergarten, with a student’s proficiency with fine-motor writing skills at this stage being linked to higher academic achievement in second grade (Renaud, 2012). Handwriting mastery is witnessed on several levels. 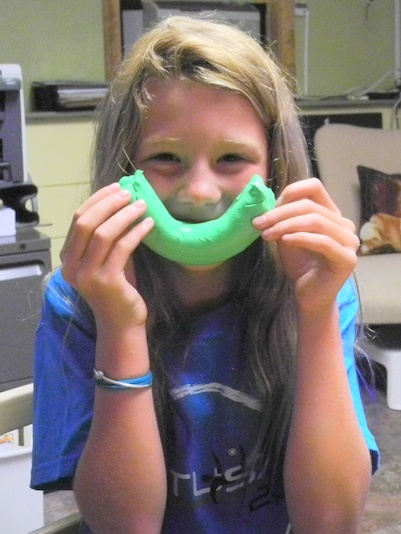 Initially, children make marks, mostly by chance, that represent their attempts to experiment with movement and sound. As their grasping skills develop, those marks transform into more refined squiggles and swirls called scribbles, becoming essential components of handwriting mastery. Susan Sheridan (2001) considers this stage as the beginning of a process for “train[ing] the brain to pay attention and to sustain attention” (Hypothesis One section heading) and the use of scribbles a method for the child to “practice and organize the shapes or patterns of thought (Hypothesis Three section heading). Their marks begin to resemble handwriting and writing as they align their scribbles across the page from top to bottom and side to side. The underlying components continue to develop as children experiment further with scribbling, progressing toward the development of pre-handwriting shape formation, “first by imitating geometric shapes beginning with vertical strokes, followed by horizontal strokes, and then to circle formations. (Collmer, p. 20) Formal instruction follows to provide the essential guided assistance for the development of appropriate letter formations, alignment, spacing, and use of space, ensuring that children master the foundational components of a legible handwriting style. Those foundational components are just that. Foundational. An efficient handwriting style includes one more element: fluidity. The writer must be able to call up those essential foundational skills quickly (referred to as automaticity) and produce a handwritten product in a timely manner. Fluidity is the writer’s ability to move the hand across the page with even, efficient movements while maintaining both the efficiency of the foundational skills as well as his or her train of thought. Speed is the skill that turns handwriting into a functional tool. It is also one of the most challenging handwriting skills to remediate. 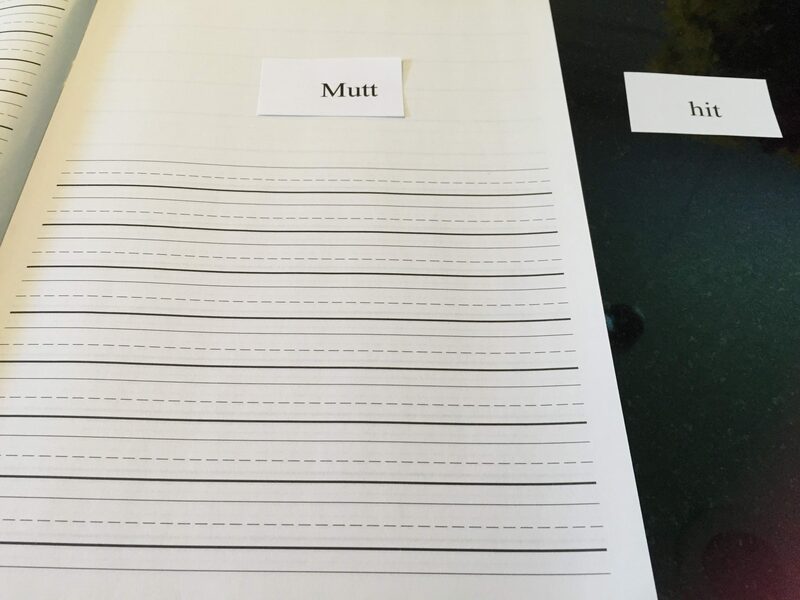 A fun activity to help with handwriting speed! I have found that games that prove to be the most beneficial to students who are challenged by speed and fluidity are those that encourage them to compete against themselves. Writing races can be a fun way to help writers work toward their “personal best” without the anxiety of matching or exceeding another person’s strengths. Minute Mania has served that purpose in my clinic for a number of years. I have implemented this racing game in individual sessions, as well as in handwriting clubs. It can be adapted for beginning, intermediate, and advanced letter formation skills and is an efficient tool to include in home programs. And it only involves 10 words. The goal is for the students to write 10 words from text (initially) as quickly as they can within one minute without stopping to erase or correct, simply concentrating on speed. There is time after the game to edit and correct and to practice those skills with guidance. At first, there may be quite a few corrections to make; but as the writers becomes more proficient and confident in their letter formation skills, there will be a more appropriate amount, and eventually none. cards are placed on the desk by the therapist or parents either at the top or the side of the student’s paper. This is done one word at a time. The next word card is placed on top of the first just as the student is finishing the current word. When a minute is up, the last word that is being written is the last one that counts in the student’s total. As the students become more fluent and can write the 10 words within the minute without having to do much correcting, they can advance to writing the words from dictation, thus not having the benefit of a visual model. Each word is dictated and spelled, if necessary, following the same procedures as above. In the end, the students will be able to write with appropriate speed from text and dictation. If the students are having difficulty copying from the board with appropriate speed and accuracy, the process can go one step further to include that skill. Eventually, the game can be adapted to include 10-word sentences that the students will write as fast as they can from text within the minute! For students who have mastered only a portion of the manuscript or cursive letter formations, put together a list of words that includes those letters. 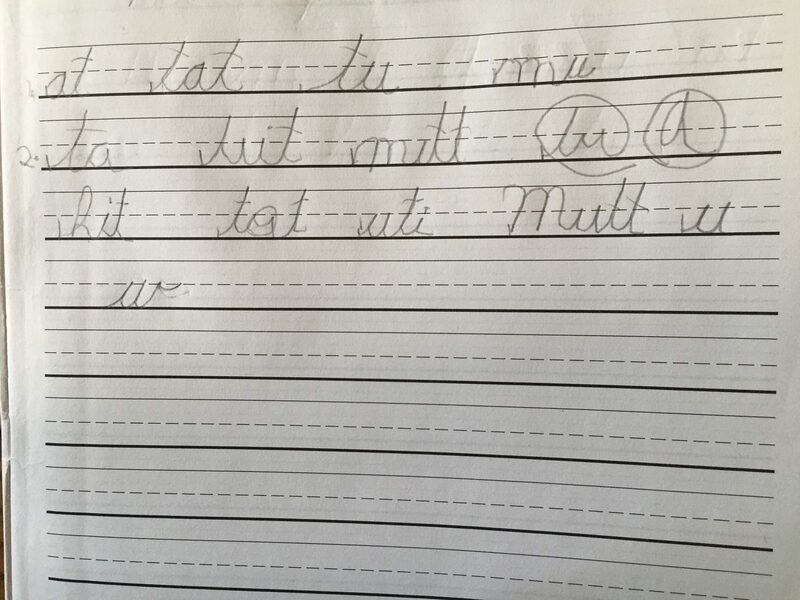 For the example below, my student was closing in on mastering the cursive letter formations for “A, a, h, i, M and m, t, u, and w.” He and I created 10 “real and silly words” that would allow him to practice his writing speed using those letters. 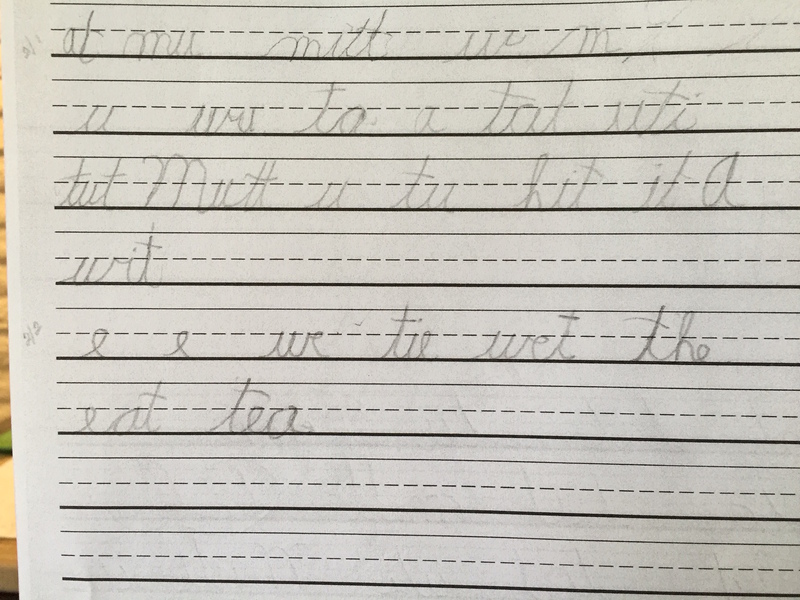 We came up with “at, tat, tu, mu, tut, mitt, hit, tat, uti, and Mutt.” For this student, the challenge was for him to have confidence in his letter formation skills and his ability to write them correctly without having to check each one as he wrote it to be sure it was perfect in his own eyes. As you can see, for the first attempt (1. ), he was able to copy 4 words. This was mainly the result of the game being new and his anxiety to do his best. For the second round (2. ), however, he was able to write 9 of the words. 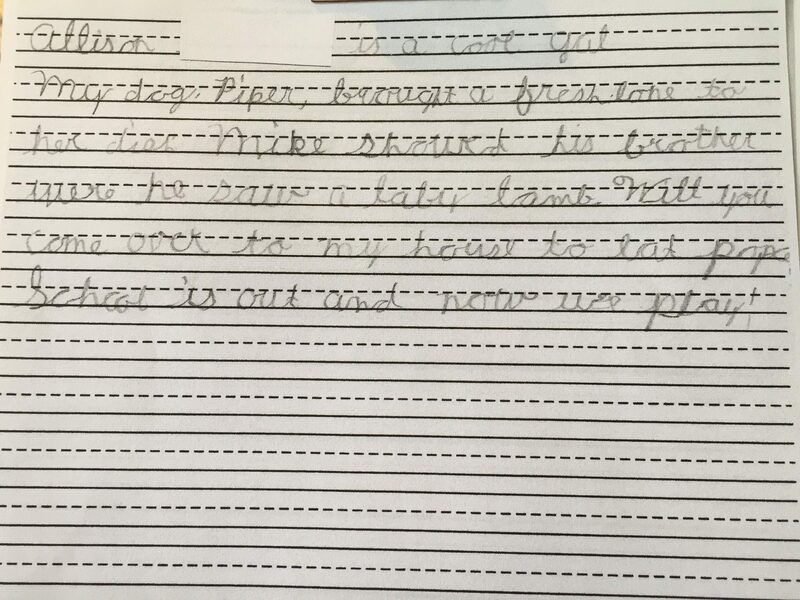 During the self-editing portion, he circled the errors he found and practiced the letters “u and w. In his next session, after practicing with the game for homework, my student was able to produce the 10 words within the minute on the first try, then 9 words per minute in the second. 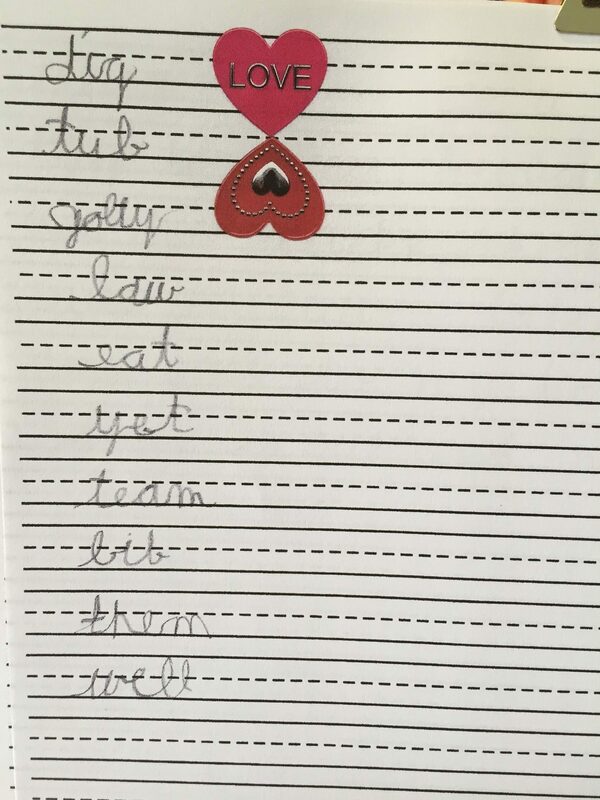 For another student, who was more proficient in cursive letter formations and was working on legibility as well as speed, we came up with 10 words that included the letters that were the most challenging for her. For this student, her letter formation skills were diminished when speed was the goal. In the first try, her speed was excellent as she was able to complete the 10 words in one minute and four seconds. However, as you can see in her timed work in the left-hand column, her legibility suffered. So, we took a moment to talk about this and to correct her work on the right. The next example was completed in 58 seconds after the game was used as homework. As you can see by her stickers, she did very well! dramatic improvement in just 5 months for a student who avoided her cursive and reverted back to manuscript during the assessment. The idea to use minute timeframes to encourage cognitive and motor skills is not new. There are many fun minute games for children and adults that benefit fine-motor, visual, and literacy skills. They can be adapted for use with an individual child to focus on his or her skill strengths and needs and to offer a safe environment to learn and grow. Don’t take my word for it. Try a minute mania game with your struggling handwriter. Let me know what you come up with. I’m always on the lookout for new ideas to share with teachers, students, and parents. Renaud, J. (2012, January 18). Good handwriting and good grades: FIU researcher finds new link [TXT]. Miami: Florida International University.